Our palletizers, stackers and unstackers can specialize in drums, pails, cans, tanks, cores, rolls, totes, crates, cases, etc. 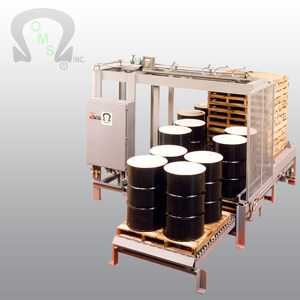 Design versatility provides for a variety of types of containers and shapes, and is a proud O.M.S. achievement. Let O.M.S. 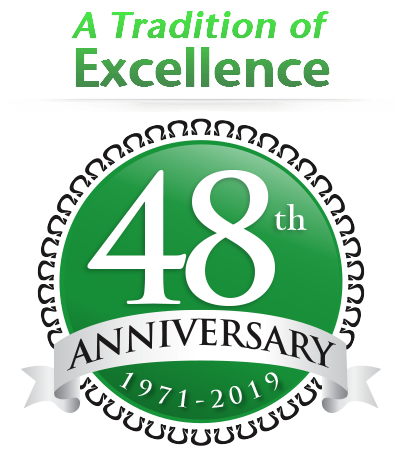 provide the benefits of providing for today’s production requirements while allowing for your company’s future expansions. 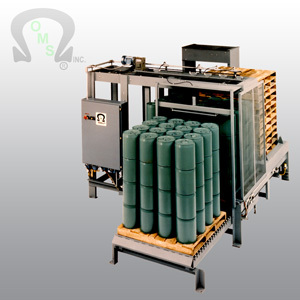 Asynchronous infeed live roller conveyor processes rows of containers to form desired layer pattern. Container infeed stop mechanism detects incoming flow to provide positive row sweep. 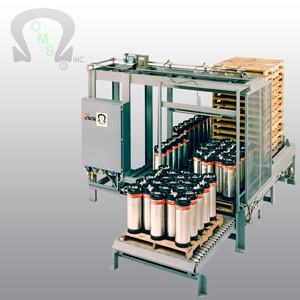 Heavy duty transfer bars pop up between conveyor rollers while lifting and supporting container rows to ensure roller longevity. 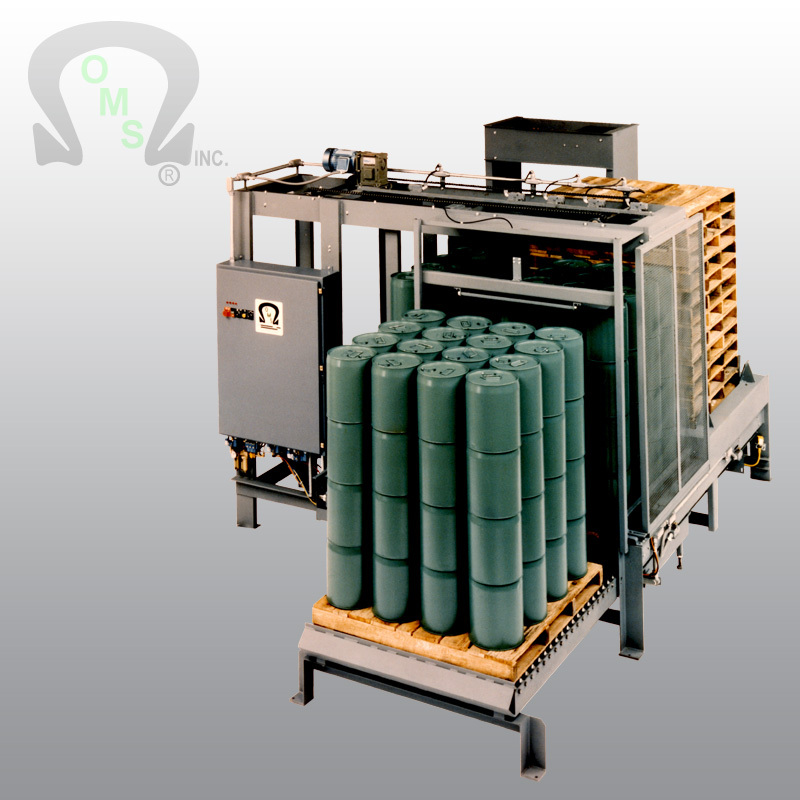 2800 pound capacity layer plate systematically delivers preformed container pattern onto the pallet. 3600 pound capacity layer plate optional. 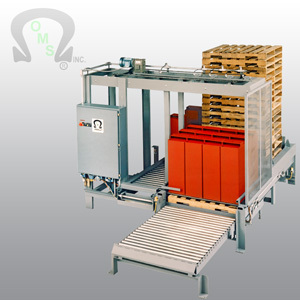 3000 pound capacity pallet conveyor discharges the loaded pallet in conjunction with simultaneous, sequential empty pallet placement in ready position. 3800 pound capacity optional. 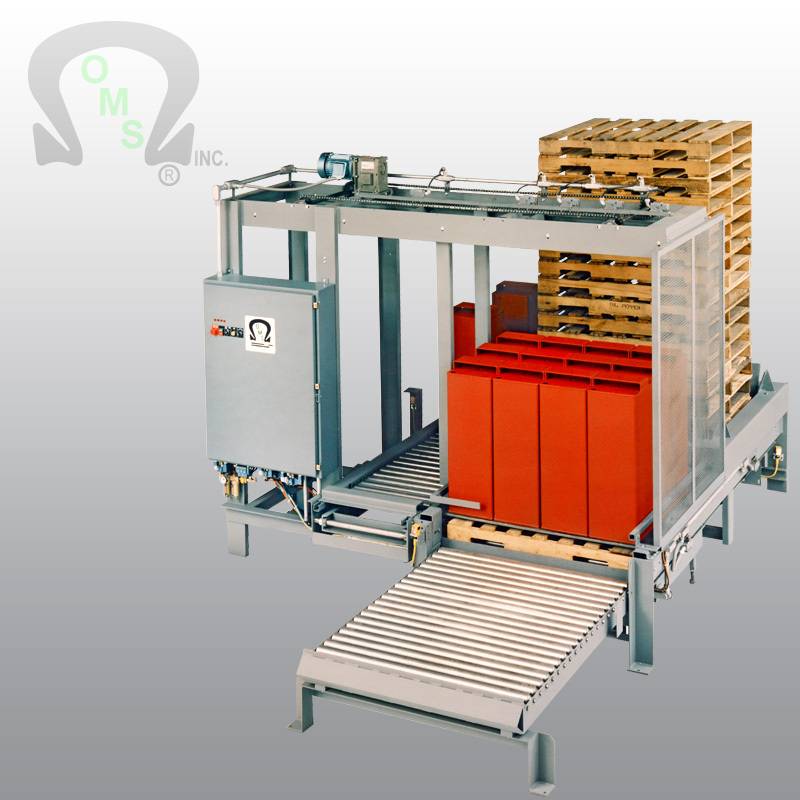 Sixteen pallet capacity unstacker configured for ease of forklift loading access. 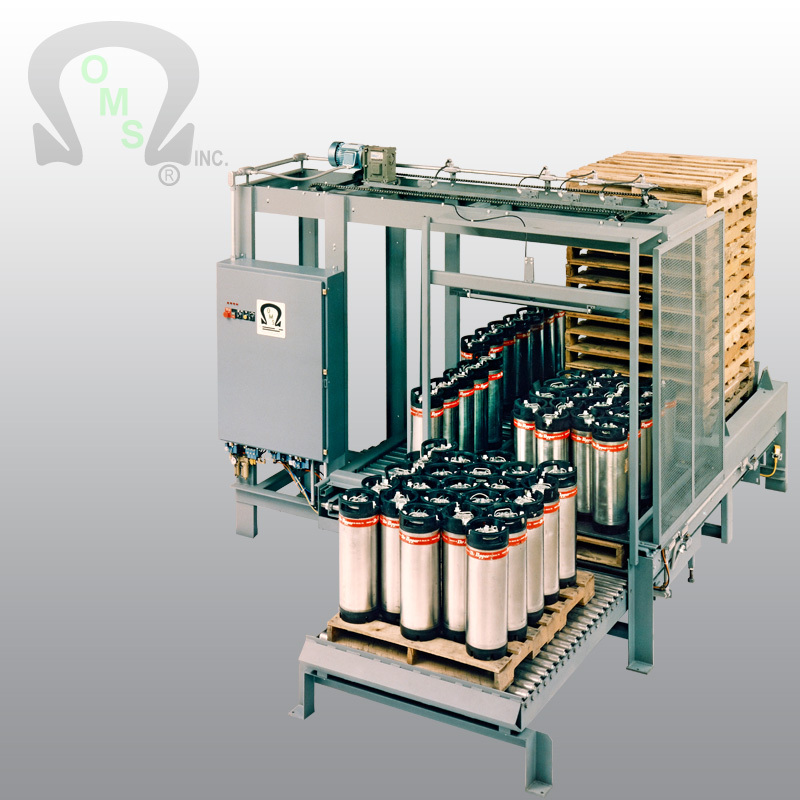 Can, pail, case, etc., pre-stacking module provides multiple container type palletizing operation. Pail indexing module to space rows during layer plate pull cycle.